The staff is always willing to go above and beyond with enrichment activities for residents and simple tasks. The emails and text notification are great as well! Thank you for your review and hope to see you at the next resident event. Love it! Perfect location in Montrose. Have heard almost no noise, and being located adjacent to the courtyard means a constant ambient water noise (which I love). All is great, but please please please open up the coffee area 24/7. I really need coffee when I'm going to work in the early AM, but it's never open when I need it (6:30am). Love this place. Professional leasing staff, top notch maintenance team, and well rounded social calendar! 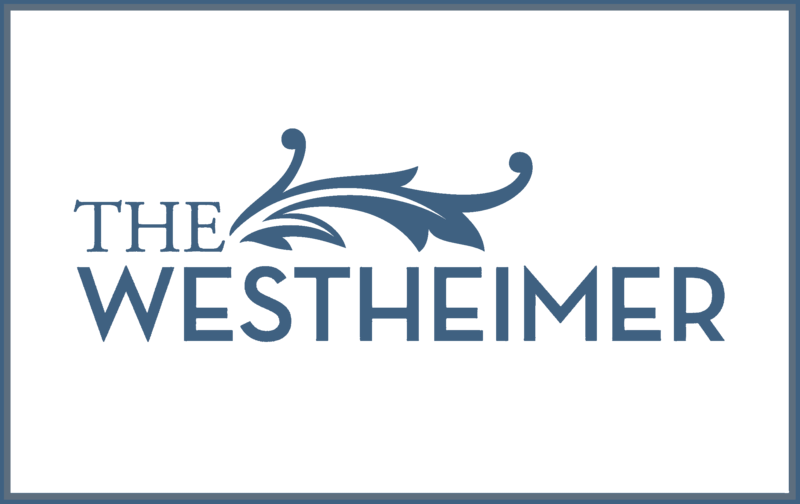 Proud to be a member of the Westheimer community! Thank you for you for your feedback and we are happy to hear you enjoy living at The Westheimer. I have lived on the property for almost 3 years. I live the location. My biggest complaint in the elevators. At least once. Week one of them is not working and they are extremely slow! Good place to live. Staff is very friendly and helpful, parking is never an issue, and maintenance requests are handled promptly. Great location as well. Couldn’t be happier living here - the staff and maintenance teams go above and beyond, are super polite and helpful. Hoping to renew my lease for a third year. Satisfied overall. Quiet community in a good location with plenty of food and activities around. The couple of times I have had maintenance requests they were resolved the same day. We love it here for the most part. Maintenance services are always very timely. Pest control seems to work well. My main complaint is that the business center, coffee machine room, and community room on the second floor get locked after business hours. It would be nice to be able to get coffee on Sunday mornings for example. Or print something out at night. I don't see how it's any different than the gym being open all the time. For this to be my first mid-rise at a young age, I’m truly grateful to be a resident. It’s definitely a dream come true. The best is yet to come! Been here going on a year and four months and it’s been a great place to call home no real big issues always fast at getting maintenance issues fixed. I have really enjoyed living in the Westheimer for the past nearly 3 years! It's such a convenient location, the staff are all nice and courteous, the other residents are great, and it's a very nice apartment complex! My own apartment is spacious and has a lovely view of the quiet courtyard (of which there are 4!) The exercise room is nice, and with the gates, this place always feels secure! Would certainly recommend this place to others! Overall fairly pleased with the apartment since I moved in. Biggest negative has been the extremely slow elevators. Parking has been pretty easy. Best staff and maintenance team anyone could ever ask for! Building is always clean, tons of parking, the gym is fantastic and continually being improved. I've been here for over a year and couldn't be happier. I really love living here. The management is so kind, and theyve been very accomodating. The building is kept very clean and tidy, plus repairs are made swiftly after a requezt is sent in. The location is great. The property could be cleaner. The garage area and the trash is nasty on Mondays and the fitness center needs to be updated. This has been my first home away from home and i could not be happier with my experience here. Great, responsive, courteous management. Celan, quiet building in very central, accesible location. Great ammenities. Thanks for your praise and kind comments about our team, have a fantastic day! I moved in almost exactly a month ago and am so pleased with everything. The leasing office and maintenance staff are fantastic. I love the location and being able to just park my car and walk places on the weekends. Your wonderful feedback and rating mean a lot to us. Thanks again for the recommendation, and have an amazing day! I've enjoyed my stay here at The Westheimer Apartments. The location is great! The Westheimer is centrally located to some exciting parts of Houston. We strive for 100% satisfaction, and it is great to see you had such a positive experience at The Westheimer. Building is clean and well maintained. Gym has well maintained and new equipment. Ample parking for residents and guests. Friendly and professional maintenance staff. Thank you for your kind review; we are happy to pass along your comments to the team here at The Westheimer! One year later and I'm looking forward to renewing. Friendly, super helpful staff! Location is perfect, close to three grocery stores, and a short walk from Montrose bars and restaurants. Just moved in and loving it already- great agents and maintenance has been so helpful!! I can't thank everyone enough for being so helpful- moving is stressful! Thank you so much for your pleasant review! We love that you have chosen us as your home! Maintenance staff is on point, friendly and fast to respond to any issue. Ample parking for residents and their guests. Amazon delivery boxes super convenient. Thank you so much for your high rating! We are pleased that we are meeting your expectations. Thank you and have a nice day!